On the 19th of November 2015, Microsoft Malaysia officially launched the Surface Pro 4 in Malaysia. They held the event at the Glasshouse @ Seputeh, a unique event venue here in Kuala Lumpur. 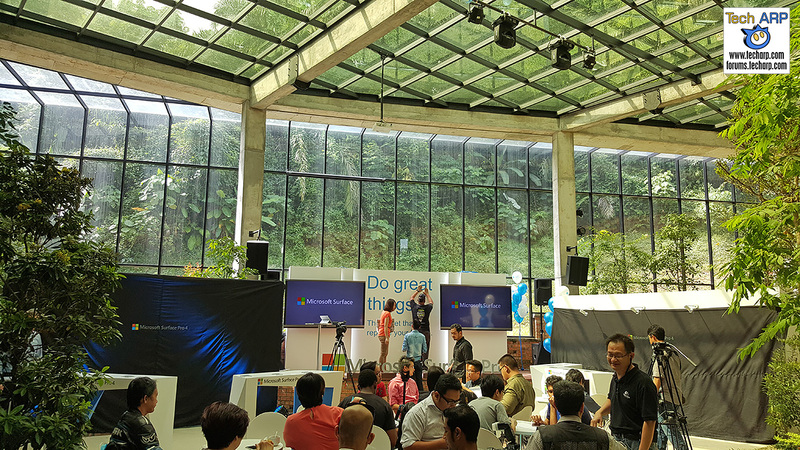 Our hosts for the day were Bruce Howe, Director of Consumer Channels Group, Microsoft Malaysia; and Michal Golebiewski, Microsoft Malaysia's new Chief Marketing & Operations Officer. 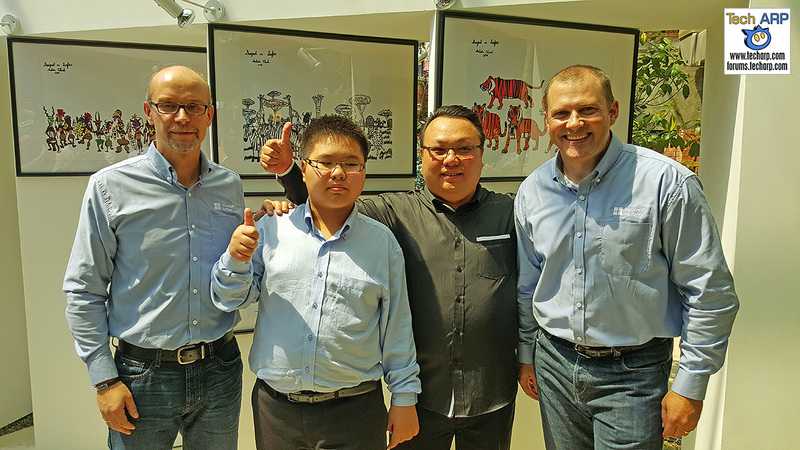 Microsoft Malaysia invited two special guests with amazing artistic talents. This is Delwin Cheah and his father, Lawrence. Delwin is a high-functioning autistic savant artist who is known for his meticulous drawings of nature and animals. Delwin used a Surface Pro 4 to create 5 art pieces of Malaysian tigers, animal safaris and the Galapagos Island. You can check them out in the next page. And this is the top Malaysian graffiti artist, Muhammad Fakhrul Akmal. 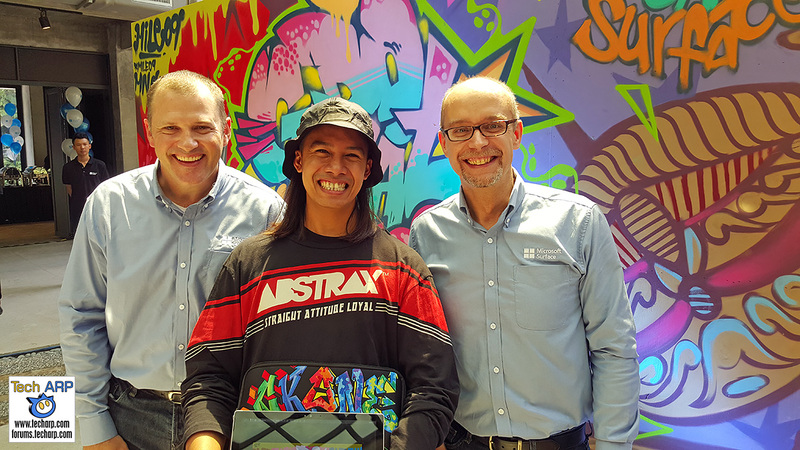 Also known as Mile09, he used the Microsoft Surface Pro 4 to create a 112 square feet graffiti mural portraying a perfect blend of traditional and modern aspects of Malaysia. This includes the KLCC Twin Towers as well as indigenous art forms like the Wau Bulan and the Wayang Kulit. In this video, Bruce Howe, Director of Consumer Channels Group, Microsoft Malaysia talks about the key features of the new Microsoft Surface Pro 4. Exceptional Performance : With the new 6th Generation Intel® Core™ m, Core™ i5, and Core™ i7 processors, Surface Pro 4 is not only more powerful than Surface Pro 3 — it’s quieter, runs cooler, and is even more efficient. With up to nine hours of battery life for video playback and the optional Surface Pro 4 Type Cover (sold separately), you can get more work done without interruption. Experience Windows 10 : With full Windows 10 Pro, Surface Pro 4 is compatible with virtually all your favorite software. You can run apps and desktop programs like Microsoft Office side-by-side, and the enterprise-level security of Windows Hello helps keep your contents secure. Plus, full pen support and the redesigned Surface Pen packing 1,024 levels of pressure sensitivity enables you to write directly on Web pages in the Microsoft Edge browser with the click of a button. Best-in-class display : With a stunning 12.3-inch PixelSense™ Display and 3:2 aspect ratio for comfortable viewing, Surface Pro 4’s screen builds on the innovative design of the Surface Pro 3 screen. One of the brightest and most accurate displays Surface has ever made, it features 267 ppi and 1300:1 contrast ratio, supports 100 percent sRGB color, and has 5 million pixels.